As with a lot of projects I set our students and teachers off on I got the idea of students making their own commoncraft-esque videos from networking within my PLN. Strangely enough not through Twitter but from visiting a school here in Hong Kong and talking to a grade 7 student about a project he had done. Basically in science class they created a torch and then made a commoncraft video explaining how it’s done. Teachers are always looking to challenge students in reflecting and/or expanding upon what they learn so we always knew we wanted a couple of our students to do a how-to video after our stop motion animation activity. 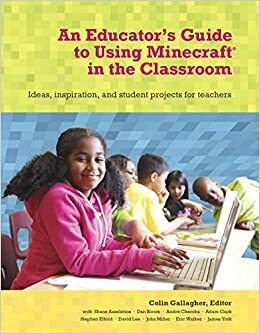 After I came back from my school visit I put forward the idea of doing a commoncraft video and both the teacher and students jumped at the idea. Here’s the students’ first ever try at making one. Stop Motion Animation How-To ala Commoncraft from Colin Gallagher on Vimeo. After viewing it the students immediately started reflecting on how to make it better. Amongst some of the ideas; bigger pictures and never use pencils and always use dark markers! Our teacher, Amy Koo, after watching the end result has now set a Chinese New Year homework project to challenge all her students. A character analysis commoncraft video on a character in a book they have just read. Here is Amy’s example we filmed to show her students. Ms. Koo Commoncraft Video from Colin Gallagher on Vimeo. As facilitator I have to think about how to record these easier. If you walked past the classroom where we made this you may have thought we were quite mental. We placed the sheet of paper on the floor just in front of a table, I sat on the table and rested the camera against the side while Amy lay on the ground and worked the props in and out. Worked well but we need to get some sort of tripod that will allow the camera to face straight down on to the floor or table. Creating these videos are a great extension of learning for the students. In this activity choosing which traits of the character are important enough to create props for is an important cognitive process for the students to go through. I’m looking forward to seeing what the students come up with after watching the example video and listening to the guidelines for making an effective commoncraft video. Thanks for sharing. Now I am at a loss for which assignment to have them create a common craft video. My original thought was for my class’s digital citizenship project, but now…..
Hmmm. Isn’t it awful when an idea is so good that it’s hard to choose which activity to use it for?